After many months of refurbishment, the enchanted garden has reopened its doors for an even more mystical adventure than the first. 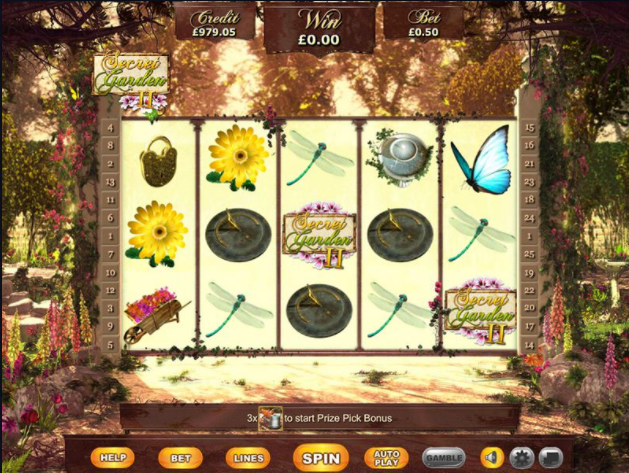 Secret Garden 2 allows you to encounter colourful dragonflies and flowerbeds while you play slots, hedging your bets on 25 paylines of magical free spins. Developer Eyecon has been running as a successful computer game company for over 20 years. Two years after it was founded their online casino took off and their first slot game was introduced in 2003. They are one of industry’s leading online slot game developers for bingo and casino based websites. Eyecon have produced over 60 high quality popular and timeless games available to players across many online gaming platforms. Each game is created to provide every player with a game they can enjoy for a long time and each year more players and playing unique games with Eyecon. There are many more Eyecon games that you can learn more about. Secret Garden 2 is a sequel to the first game and underwent an amazing transformation to provide a better gaming experience to its users. The game offers a magnificent view which almost seems real overlooking beautiful nature scenes. 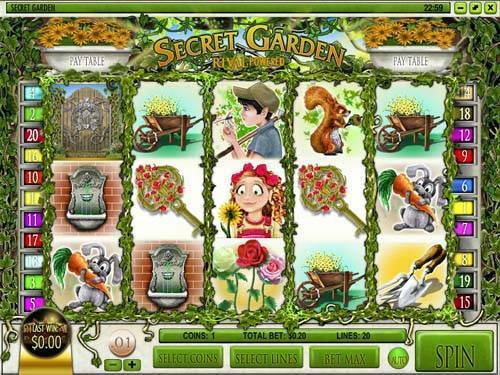 Secret Garden 2 is a 5 reel 25 pay line based slot game. The game features a variety of symbols including a watering can, a rose, Secret Garden 2 symbol, a lock, keys, fountain, butterfly, a wheel burrow, a lady fly, a dragonfly, a yellow and a sundial. Start off your adventure into the garden by selecting a number of betting options 1,2,3,5,7,10,15,20,25,30,40 or 50 credits for each line. To increase or decrease your bet you select bet field and click ‘Bet Up’, ‘Bet Down’ or ‘Max Bet’ if you wish to make the highest stake. Lines must also be selected between 1 to 25, click lines field and select how many lines you’d like. The rose is a wild symbol and substitutes all other symbols except for the watering can symbol which is a scatter. If wild symbols turn to a winning combination the prizes you catch will be twice of that of a standard play. The best part of the game is the ability to grow a money tree. In order to gain this incredible feature all you need to do is line up 3 or more watering can symbols which appear anywhere on the reels. You must select a pot and begin watering it, the taller the money tree grows the bigger the prize money you will get. There is also a Gamble Bonus round, in this bonus round you will be given the chance to win up to 3,000,000 credits and can play a maximum of 5 gamble bonus rounds in a row. This feature also allows you to double your win simply by guessing which key will open the locked gates, the gold or the bronze? Secret Garden 2 is a game that offers some peace and serenity away from the mayhem of day to day life with it’s picturesque and colourful scenery. It’s a place that you can step into and enjoy the beauty. It is a classic fun game that will draw you back every time. 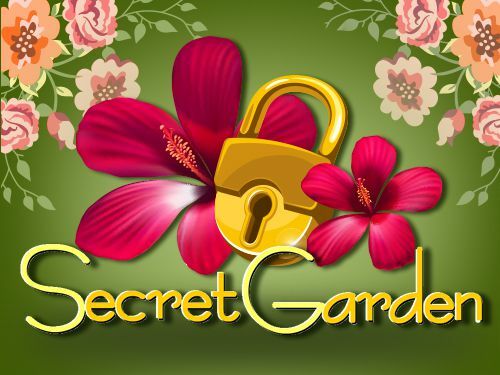 if you want a fun game with amazing prize money and breathtaking user experience then Secret Garden 2 is a must. RTP 95.39%. Another top-notch game for you to try is our Fireworks Frenzy slot.